The latest jailbreak solution to be made available via China-based Pangu Team may have only been in the hands of the enthusiastic jailbreak community for less than seven days, but that community has already shown that it can overcome a number of issues that have manifested, not only within the jailbreak implementation, but also within Cydia. One of the latest issues, which threw up a rather cryptic and obscure “failed in buffer” error message due to stashing issue, was quickly solved with the release of a patch available via Cydia, but has now hopefully been fixed on an official level with the release of an updated Cydia Substrate 0.9.6200 which also brings official support for iOS 9.2-9.3.3 firmwares. You may be one of the many jailbroken users on the latest firmware that has never experienced this issue, and for that you can count yourself lucky. However, for many device owners, the bizarre “failed in buffer_write(fd) (8, ret=-1)” error message was enough to cause some serious concern. Cydia Substrate 0.9.6200, on iOS 9.2+, “mitigates” :/ an issue of storage on the root filesystem when using a “semi-untethered jailbreak” (so far my favorite term for jailbreaks via an app vector) by stashing the installation target of extensions. In addition to bringing what should be an immediate fix for the aforementioned issue, version 0.9.6200 of Cydia Substrate also brings the ability to disable Substrate on iOS 9.2+ by holding down the Volume up button on the device as part of the boot up process when using the Pangu jailbreak app. Great work as always by the “Godfather of Jailbreaking” which should make our jailbreak experience on Apple’s latest iOS version an even smoother one. 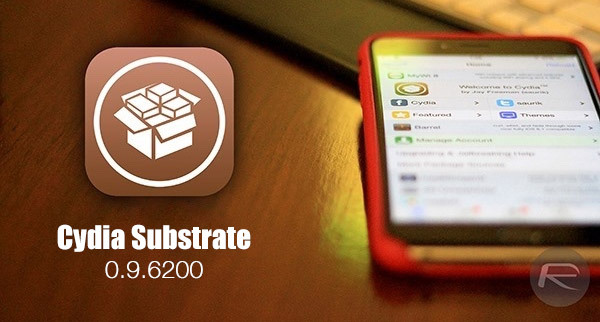 To update to this latest version of Cydia Substrate, simply open Cydia app and get the update from there. Hey i still encountered the “failed buffer when install kodi. We must wait… I am sure there will be a 32 bit JB. Dude a 5S is only like 90 bucks. Go get one. Where can i get one for that price?